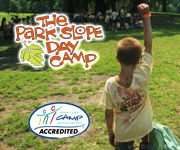 20% off Birthday Parties and Camp Programs! Subject: Re: Soccer Classes for 2.5 Year Old? Comment: We just tried Soccer Shots Mini age 2-3 and loved it! Our son is not yet 2 but he had a lot of fun and learned how to dribble! There were 3 coaches and they were terrific. They go over rules like listening and respect, incorporate developmentally appropriate games and songs and, of course, learn soccer. They have sample classes so you can try out before you commit. Highly recommend! Comment: Age of child: 3Entertainment Type: soccer programReview: Excellent 30-minute program for 3 year olds. Very engaging coach.